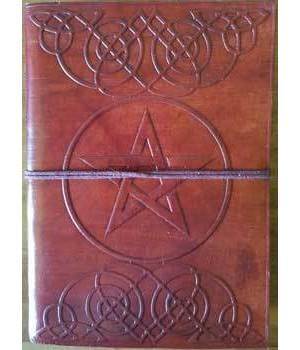 This leather blank book, is centered with a tooled embossed encircled Pentagram, bordered with Celtic design tooling. The back cover has a beautiful embossed pattern, it's spine edge has attractive leather cross stitching, secured by an attached chord for it's closure. There are 200 blank hand made pages.